The living room gives the first impression of a house and hence it is very important that you design it right. The living room is almost a window to the design personality of the house and it blurts out the essential theme even before the rest of the house. It is the place where we generally accommodate guests, and we want it to be tad grander and polished. While designing the living room, one needs to take into context, its functionality depending on our lifestyles. There is a choice of luxury furniture in Delhi, Mumbai and other cities in India. Off late Italian Sofas are trending in living room furniture. The Italian sofas in Mumbai, and the Italian Sofas in Delhi are deliverables of the leading brands like Pianca India and Bonaldo India. Here is a style guide to the different living room trends this season. Find out which one best suit your personality! The contemporary designs are a modified blend of traditional, rustic and modern designs. It is great for bringing in a mixture of colors and patterns in the living room. This is the wider, brighter and lighter approach, with coated floor, flexible and portable furniture, spacious with simpler lines and shapes. Built-in wall storage, wider windows, cabinetry and plain designs are a characteristic. Wood floors and marbled walls, lighter and pastel colors accentuate the natural lighting. The use of modern furniture and décor items like fairy lights, stripes, colored glass bottles, along with artwork. The use of brighter colors in certain areas only to make a statement also is part of this style. The modern design is simple and uncluttered and is about maximum utilization of the space by allowing every aspect of the room to breathe. It is regarded as the most calming and free-spirited design. Bright colors and white could be used as a base and contrasted with other colors, even black works wonders. This design is about straight lines and fewer curves, with polished, glossy luxury furniture in Mumbai, Delhi etc, and the use of glass, and finishing in wood. This style of living room is an experiment, standing out as bohemian, artistic and free-spirited with no rules. It is curated, a mixture of collectibles, artwork, souvenirs, and the essentials, furniture, curtains, Italian sofas, etc. The walls should be an eclectic display of loud colors, offbeat, electric blue, wine red, tangerine, shades of purple! 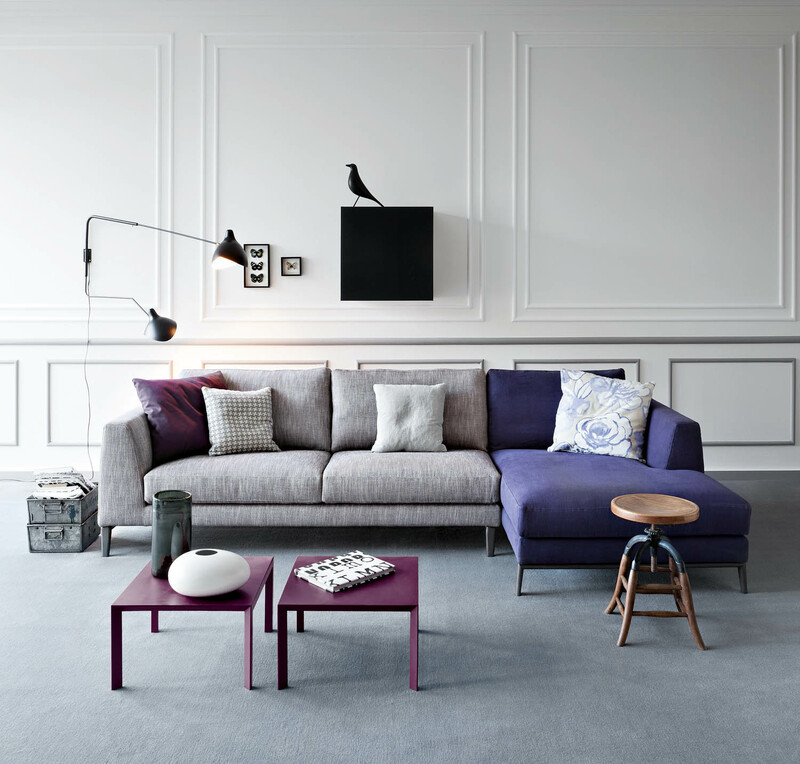 As is the name, the main theme is about keeping it all minimal, from the furniture to artwork. This style requires less maintenance and is all about giving the house a clean, organized look. The color of the walls, furniture, flooring and décor items are of a paler shades. Adding quirky furniture like an Italian sofa that stands out can add a unique personality to these kinds of living rooms. This style is the perfect marriage between traditional and the contemporary styles. The furniture lines are sophisticated and feature straight and rounded profiles, especially Italian sofas. It is a blend of simplicity and sophisticated, wherein the colors are neutral and the décor is kept minimal. It is a comfortable and homely look with an inclination to nature. Furnished in wood and finished in leather, the design is heightened by stones and other natural colors like brown, greens and beige. The use of a classic fireplace, big potted plants, animal prints, brick or stone walls, cotton upholstery adds to the rustic charm of the living room. Finally, still the popular style, traditional continues to be the basic go to of most designers. This timeless style is all about balancing, the colors, neutral with colorful, metallic with wooden, etc. Artworks could be used but not too modern. While floral is a common dynamic, a bold color can be used to make a statement. The iconic overstuffed Italian sofa with pillows, walled decorations, and elegant fabric curtains are a classic touch. These are a few living room styles that have been popular off late and seem to stay in 2018. Pianca India and Bonaldo India are a few leading furniture brands that could be relied on to meet these design needs. When designing your living rooms keeping in tune with any of the styles you can choose from the luxury furniture in Mumbai, and other cities. The luxury furniture in Delhi, Mumbai and other cities are high on especially brands like Pianca India and Bonaldo India, proven to be the best in class.